An irregular heartbeat, in most cases, is not a serious health problem. Sometimes the heart’s electrical system misfires and disrupts the organ’s regular rhythm. Or maybe the heart beats too fast or too slow. You might experience it as a mild fluttering, a skipped beat or an extra beat. During this irregularity, called an arrhythmia, the heart might not supply enough blood to the body. That’s when it can become more serious. Reduced blood flow can damage the heart, the brain and other vital organs. Let a professional decide. If you feel an irregular heartbeat, call 911. -- Introduction by Dr. Steven Zweibel, system director of electrophysiology at the Heart & Vascular Institute. 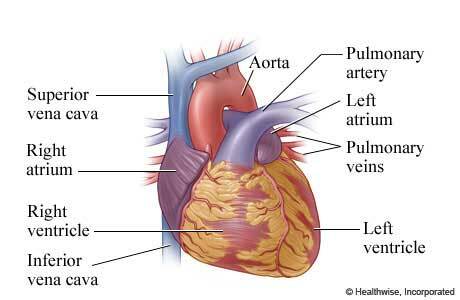 Ventricular: Arrhythmias that begin in the heart’s lower chambers, the ventricles. Atrial fibrillation: The upper chambers of the heart contract abnormally because of an irregular heart rhythm. Very common. Paroxysmal supraventricular tachycardia: A rapid heart rate, with a regular heartbeat, that starts and ends suddenly. Atrial Flutter: A misfiring in the right atrium that causes the atria to beat at close to 300 beats per minute as the ventricles, the heart’s lower chamber, slow to anywhere from 75 to 150 beats per minute. People with heart disease, the elderly and patients in the first week following heart surgery are susceptible. Atrial flutter can evolve into atrial fibrillation. Accessory pathway tachycardias: A rapid heart rate caused by an abnormal electrical pathway between the atria and ventricles. Premature atrial contractions: Early extra beats, usually harmless. This is the most common type of arrhythmia: Researchers found that 99 percent of people age 50 or older in one study had at least one premature atrial contraction when monitored for 24 hours. When the electrical signals that control your heartbeat are delayed or blocked, perhaps from malfunctioning nerve cells that produce the electrical signals, you’re in the midst of an arrhythmia. This abnormality also can happen if your normal heartbeat is disrupted by electrical signals produced in other parts of the heart. Cocaine, amphetamines or other drug use. An electrolyte imbalance in your blood. Diabetes, with its added risk of high blood pressure and coronary heart disease. A heart attack that changes the heart’s electrical system. Sleep apnea, which strains the heart when it doesn’t get sufficient oxygen. Weight-loss diets, predominantly liquid or high protein, can affect concentrations of electrolytes in your blood that can then affect the heart’s electrical system. A cardiologist or an electrophysiologist – a cardiologist who specializes in arrhythmias – will help with your diagnosis and treatment. During an exam, your doctor will check the rate and rhythm of your heartbeat, listen for a heart murmur, look for signs of an enlarged heart or heart failure (such as swelling in the feet or legs), check your pulse and look for other diseases that might be causing your symptoms. EKG: An electrocardiogram records the spikes and dips of your heart’s electrical activity, typically with a device connected to a laptop that stores the results. Holter monitor: A device worn by the patient that records the heart’s electrical signals for a much longer period, usually 24 or 48 hours. Chest X-ray: A simple X-ray can tell doctors if you have an enlarged heart. Echocardiogram: High-frequency sound waves create a picture of your heart using two-dimensional, three-dimensional and Doppler ultrasound technology. Blood test: Abnormal levels of potassium, thyroid hormone or other substances in the blood can indicate a heightened risk of an arrhythmia. Stress test: To evaluate how your heart works when beating fast, your doctor might recommend a stress test that includes monitoring during exercise. If you’re unable to exercise, certain medicines can duplicate the effects on your heart. Coronary angiography: A technology that uses dye and special X-rays to reveal the interior of your coronary arteries. Electrophysiology study: In an EPS, a wire inserted through a vein into your groin or arm to the heart records the heart’s electrical signals. This test is useful for doctors who wish to stimulate your heart to cause an arrhythmia, giving them insight into which medicines might help. Your doctor can prescribe medications like beta blockers or calcium blockers to reduce a fast heart rate. This type of medication, and digoxin, are useful in treating atrial fibrillation. Patients with atrial fibrillation and other arrhythmias also can be treated with blood-thinning medications that reduce the risk of blood clots. Warfarin (Coumadin), dabigatran and heparin are among the possible recommendations. Pacemaker: A small device inserted beneath the skin in the chest or abdomen area. A pacemaker evaluates a heart’s rhythm, then sends an electrical pulse to the heart when it senses an abnormality to restore a normal rhythm. Implantable cardioverter defibrillator: An implanted device, designed to prevent potentially deadly arrhythmias, that uses pulses or shocks to restore normal rhythms. Maze: Using small incisions, radio waves or other methods, a surgeon creates scar tissue that, because it does not conduct electrical activity, blocks arrhythmia-causing electrical signals. Maze, which requires open-heart surgery, is rare. Catheter ablation: When medication fails, this procedure can stop abnormal electrical rhythms or signals from affecting the heart by scarring tissue causing the problem. Electrodes placed in your heart measure the electrical activity, then target the tissue. Electrodes placed in your heart measure the electrical activity, then target the tissue with short, extreme bursts of energy. A catheter ablation uses radiofrequency energy, similar to microwave heat, to scar the heart and correct the arrhythmia. Cyroblation, the cryoballoon ablation procedure now performed at Hartford Hospital, uses another temperature extreme – freezing technology that allows the catheter to stick to the tissue, increasing the catheter’s stability. Cryotherapy can also produce a temporary electrical block through cooling, allowing the physician to gauge its effectiveness in a targeted area before scarring tissue permanently. 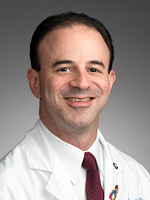 More on catheter ablation with Dr. Eric Crespo, director of the Interventional Electrophysiology Lab at Hartford Hospital.